Photoshop was created 28 years ago in 1988. Since then Photoshop and its many derivatives have become an essential part of photography with a great level of importance. 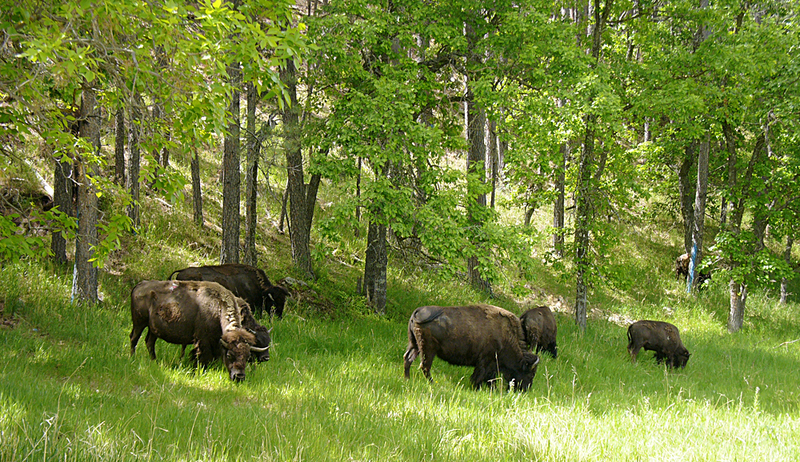 Its ability to enhance photographs and to manipulate the image is well known. Photoshop certainly is much more than just an electronic retouching tool. Unfortunately it is also misused by many. The relative ease of manipulating a photograph has led many to mistakenly believe that it is also a tool to correct mistakes that were made when taking the picture. As a matter of fact it has led to unqualified picture takers to market themselves as professional photographers, especially when combined with modern automatic everything cameras. While Photoshop is certainly capable of manipulating photographs to quite an extend, it is still an absolute necessity to have basic photographic skills. 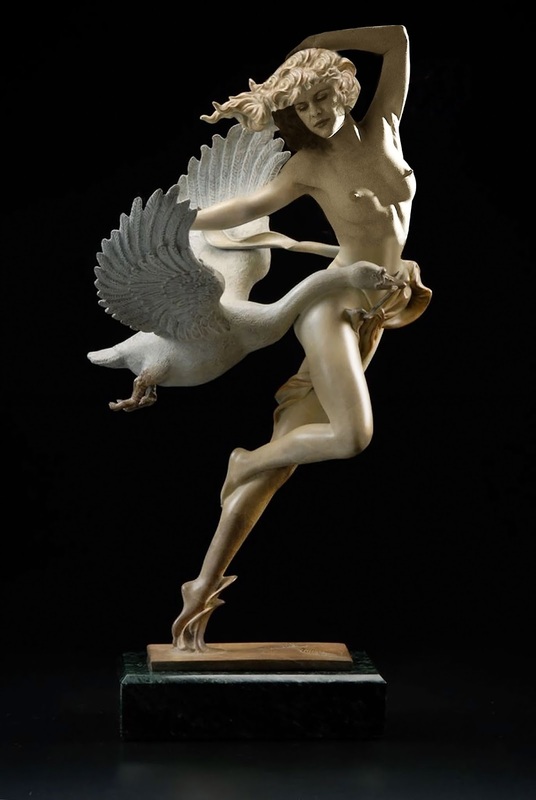 Composition and design are as important today as they were in the past, as are lighting and posing. Today's automated camera controls can in no way make up for those skills and neither can Photoshop. The following are good examples of how things can go wrong. This was a case of an all-controlling father of the bride who considered himself a professional wedding photographer and who insisted on not only arranging the group, but he also insisted on the photograph being taken at this particular location. 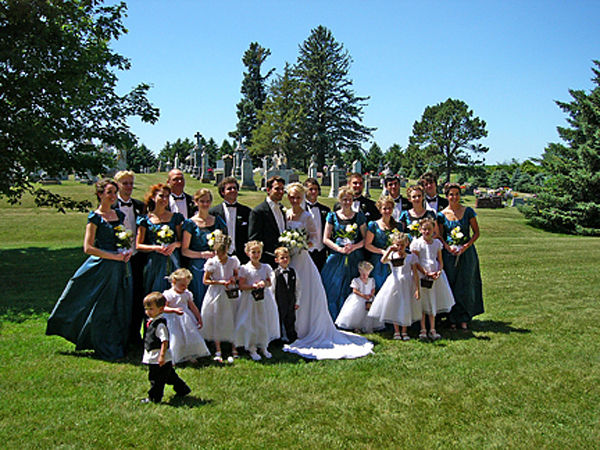 The fact that a wedding party photographed with a background of a cemetery is less than ideal obviously eluded him. 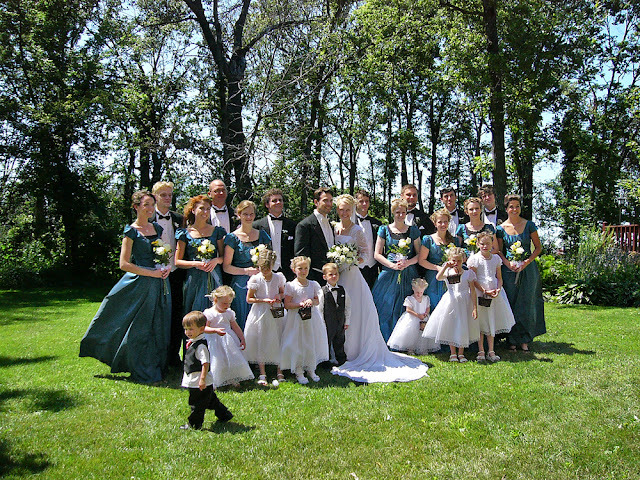 Photoshop saved the day when I was asked to move the wedding party to a much more appropriate background. Of course all of this could have been avoided by better photographic skills on part of the father in the first place. A while ago I got into a discussion with a colleague about digital photography and Photoshop on the internet. He still prefers to use film and argued that all pictures should be shown “the way the camera saw them, the way they come out of the camera” and he went on to say that Photoshop should not be used. “I understand what you are saying. However, just because Photoshop has the ability to substantially alter an original image doesn’t mean that its use will always lead to that. Photoshop offers the ability to ‘tweak’ our photographs to ultimately end up with better results. We have the ability to alter contrast and color saturation, both of which are much easier to do with Photoshop than during the film days. In the past photographers routinely retouched their photographs to reduce blemishes, for instance. Photographers used changes in exposure and development to reduce or increase contrast. Are these accepted methods really any different than using Photoshop to obtain the same results? Isn’t either approach effectively altering the image from what the camera saw? Then, of course, there is the question of what the ultimate purpose of taking a photograph is. Isn’t the final image, as envisioned by the photographer, what counts? In the past we used methods like solarization, for instance. 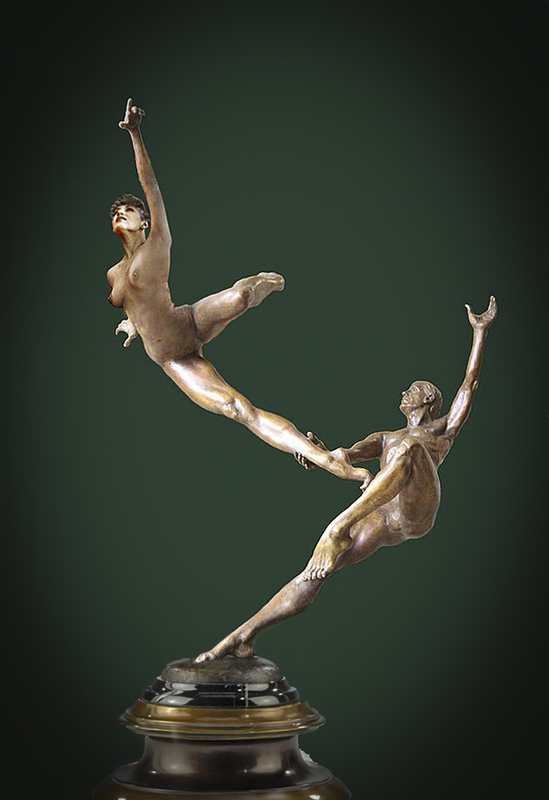 That certainly is a considerable departure from what the initial photograph looked like, the same goes for posterization or bas relief images, all of which were routinely used to create photographic art beyond the original image as it came out of the camera. If those methods were okay in the past, then why isn’t the use of Photoshop acceptable as a means to create pieces of art derived from otherwise ordinary photographs? Even simple cropping is altering an image beyond what originally came out of the camera. Since none of us is perfect, we naturally get often useless photographs because of a variety of reasons. In many cases Photoshop has enabled me to save such photographs with the help of Photoshop. I see that as a benefit”. I have come across similar opinions fairly often and I wonder if it is really a conviction or if it is more a resistance to change, combined with an underlying fear of learning a new method of working with our photographs. To which extend Photoshop or similar programs are going to be used is ultimately a personal preference. However, it is a tool that should not be rejected off hand. If we are honest about our own work, most of us probably reject or throw away more of our photographs than we save and with digital photography that ratio has most likely increased. But with Photoshop we also have the possibility to save an otherwise useless picture and make it into something worth keeping. This is a picture my wife took at a wedding. The original was nothing special and it was almost deleted. However, after taking a closer look, she asked me to apply my Photoshop skills. 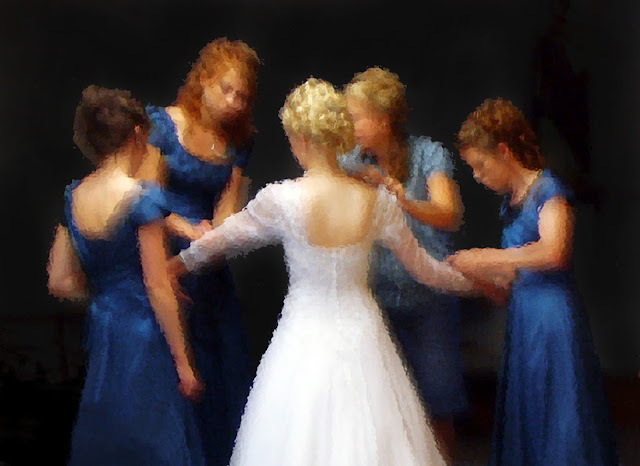 I tightly cropped the group to remove as much as possible of the clutter in the room which was further eliminated with various Photoshop tools. I then modified the image to give it a painting like appearance. The final result certainly is not at all what came out of the camera, but it is a photograph worth keeping. As it turned out, it is one of the favorites of the bride. 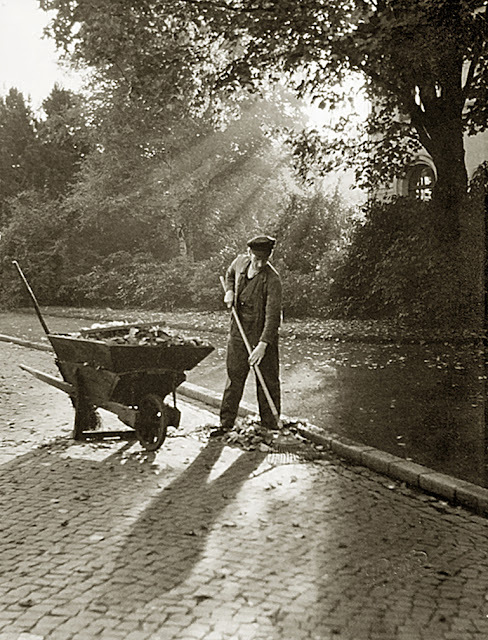 This photograph was taken by my father in Hamburg in 1949. He enhanced the sunrays in the background by carefully applying graphite dust to the rays on the negative to lighten them in the final enlargement and thus make them stand out more. Two photographs, both manipulated to allow for a better end-result; photographs that would have less impact, which would be visually less pleasing had they not been enhanced. There should be no question that Photoshop or conventional retouching are means that enable us to make our photographs better than what our cameras are capable of doing by themselves. I consider that something very worthwhile. One of the all-time great photographers, Ansel Adams, developed the famous Zone System, a means to arrive at the best possible results. It incorporated previsualizing the final outcome of the photograph and then applying careful light reading techniques, combined with special developing of the film and skillful printing and enlarging of the negatives. That certainly is a far cry from just accepting what the camera is capable of doing. 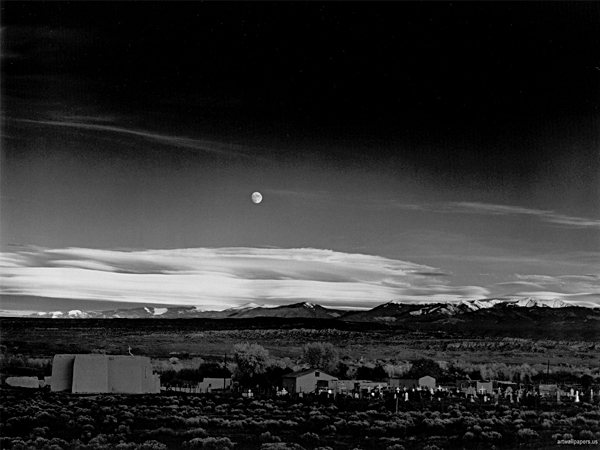 This photograph of his, "Moonrise over Hernandez" requires considerable modification. He came across this scene while driving home. The light was changing rapidly and Ansel Adams had only a very short time to pull it off. He quickly set up his camera. His light meter was not handy so he guessed at the exposure based on experience. Only careful developing of the film and considerable manipulation during printing resulted in this image. Adams said himself that the image, as it came out of the camera wouldn't have been very useful at all. Photographers have manipulated the basic images as the come out of the camera for years via a multitude of methods. These ultimately allowed the photographer to arrive as close as possible as they imagined the final image to be like. Some of these methods were very difficult and time consuming. Modern image manipulating software like Photoshop has made this substantially easier and therefore should be embraced. This can certainly go far beyond simple manipulation. It also offers methods to arrive at a final image that would be virtually impossible to do with just the camera alone. We now have the possibility to create images, photographs, only limited by imagination and skill. What comes out of the camera is just the beginning. Allow your imagination to be the guide to the final images you produce. The relative ease of using Photoshop has allowed me to develop a new photographic venue where I use a photograph of a sculpture and combine that with a suitable photograph of a model, which I call Photosculpture. Of course this could be done via conventional mehtods, but the time involved makes it almost useless. Even with Photoshop I often spent considerable amounts of time to arrive at the final image. These too certainly are far removed from what came out of my camera initially. This year’s Photokina ended and many people are of the opinion that it was an unsuccessful event for Leica. After all, hardly any new products were shown. The long anticipated replacement of the Leica M 240 did not materialize. Of course the Leica haters are having a field day with all kinds of nonsense like predicting the end of Leica. Because they showed no new M camera? Are Canon and Nikon on the way out as well? After all, with the exception of an amateur mirrorless camera by Canon, they had nothing else to show either. What many don’t realize is that many things are happening behind the scenes, things that don’t necessarily translate to flashy objects for shows like the photokina. In the past I have often written about what Leica does to set themselves apart from their competition, that one major difference lies in the substantially tighter tolerances they apply when making their cameras and especially lenses. These tolerances cannot be maintained with mass production, an otherwise common approach. 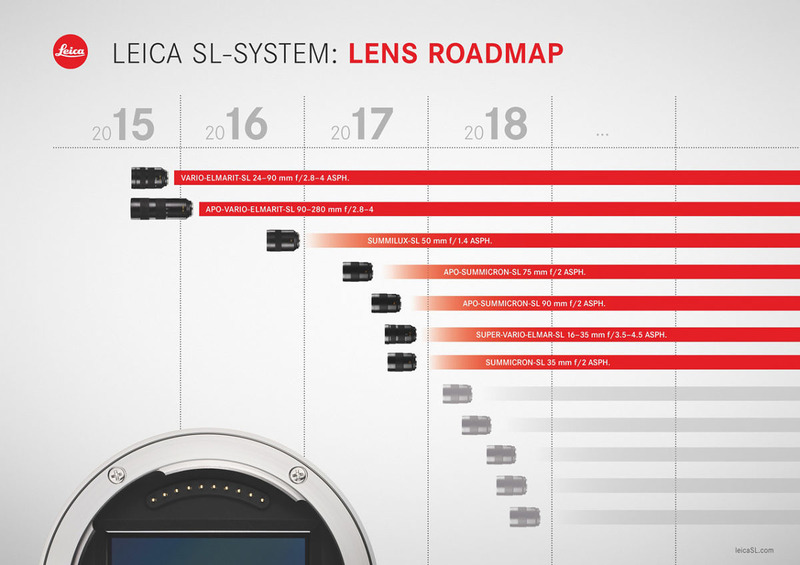 Recently Leica has shown some new lenses which all set new standards in lens performance. Obviously Leica is doing something to even outdo themselves. This brings up the question of what it is they changed. 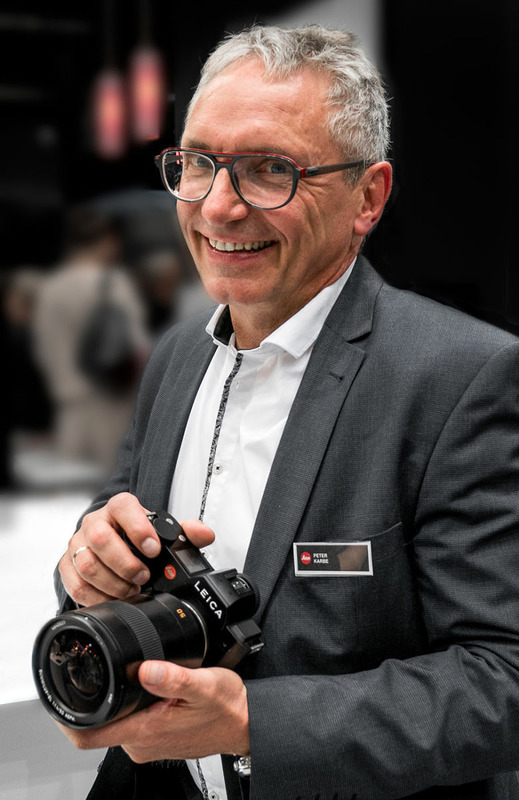 In an interview by David Farkas from the Leica Store Miami with Peter Karbe, head of optics at Leica, we find some of the answers. Even tighter tolerances is one of the answers, but that certainly is not all. But these new efforts by Leica once again established them as the foremost manufacturer of high performance lenses. In simple terms, nobody makes lenses like Leica. That isn’t to say that nobody else is able to do so, but with a commitment to mass production, only a certain performance level can be achieved. To go beyond that, a manufacturing as applied by Leica is necessary. That leaves Leica very much on their own. When I showed up for my meeting with Steffen Skopp, the product manager of the SL System, he greeted me and said, “I hope you don’t mind, but I invited Peter Karbe to join us for our discussion.” How could I possibly mind? Peter Karbe is the head of optics at Leica. He’s designed such incredible lenses as the 50mm APO and 75mm APO, among many, many others. Ever since he pulled me aside and gave me an education in lens design back at Photokina in 2008, we’ve had numerous conversations over the years. I even got to go out shooting with him to try out the first M Monochrom. Every time I listen to Peter I learn something new. So, no, I didn’t mind him joining us to discuss the new SL lenses. After some catching up and pleasantries, we got down to the matter at hand. DF: So, jumping right in, how good are these new prime lenses, the 35, 75 and 90 Summicrons that will be coming out over the next year? PK: These primes redefine everything. They are simply amazing in terms of total optical performance, as well as mechanical. Fast autofocus. Next level image quality. Next level? The SL zoom lenses are already incredible. They are probably the best zooms I have ever used, at least as good as the best Leica primes. Are we looking at similar quality with the new Summicron-SL lenses? Better. The SL zooms are already very, very good, with prime lens quality. Now, we raise the bar for prime lens performance. You have not seen a look like this before. When you talk about a new look, are we talking about sharpness, bokeh, or something else? Yes, both of those. The sharpness DOF curve, which you can visualize as a parabola, has been changed from what you have seen in the past. We’ve tightened and raised the curve, so that f/2 will offer a look that is similar to f/1.4. It is very unique and special. And, at the same time, will offer greater sharpness at the point of focus. The contrast of in focus and out of focus will be more pronounced, which produces a very 3D effect. Okay. Let me get this straight. You’re able to offer an f/1.4 look at f/2 and even higher resolving power? Yes. 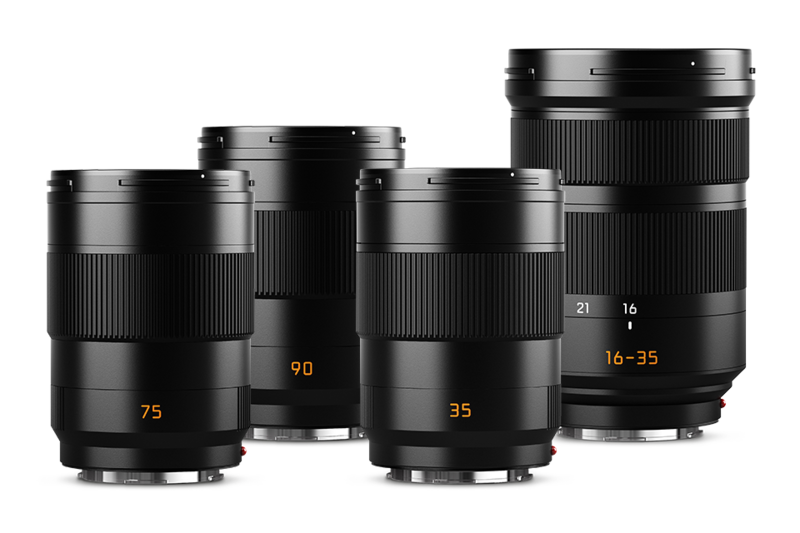 The Summicron-SL lenses employ a new generation of optical design, lens technologies and manufacturing processes. We started with the APS lenses, T and X series lenses, redefining our performance goals, which we now take forward with the SL lenses. We also see this in the Q Summilux 28mm and more recent M lenses like the 50mm APO-Summicron. These were very important steps for us, but with the new SL lenses, we have taken a really big jump. So, the SL lens designs go even further than reference designs like the 50mm APO? How did you do this? By implementing many small steps, but everywhere, they add up to a lot in the end. We had a plan of what we wanted to do for a while now, but from the start, we needed to create a process that was achievable. We needed to know that we are able to keep such a consistent quality and performance level at even higher tolerances than before. This involved changes to almost every aspect of the design and manufacturing process. What kind of changes? Leica is already recognized as having some of the best lenses across the board. Yes, but we felt that we need to continually improve. We must always try to push what is possible. As far as changes, we’ve slightly improved lens coatings and internal baffling to keep stray light and internal reflections to an absolute minimum. This increases contrast in critical lighting situations. We made important upgrades to our in-house computer aided optical design, modeling and simulation software. We needed to create new methods of measuring and testing to allow for higher manufacturing precision of optical elements, which is also done entirely in-house. This encompasses both new hardware and software. We started looking at entirely new optical designs that wouldn’t have been possible without important advances in electro-mechanics. Lens assembly has to be tighter tolerances. We also use our existing expertise with exotic glass types to create new combinations. And with more elements, we must be very precise with alignment and centering. Again, the tolerances must be reduced. Sounds like quite a lot went into the effort. Yes. It has taken us years to fully realize the potential of all of these changes, and at great cost. What about the 16-35mm f/3.5-4.5 wide angle zoom? How will this compare to the other two zooms? Why didn’t you make this an f/2.8 lens with constant aperture? The lens would have been much too large. We decided to focus on performance and keeping the size down. The new Summicrons are much smaller than the zooms or the 50mm Summilux. I assume this was done deliberately? Of course. Size was an important factor. We heard feedback from SL users that they wanted smaller lenses than what the Vario lenses offered. So, we shift our focus now to the Summicron-SL lenses. They are really quite compact, all with 67mm front diameters. The three Summicrons look almost identical. Was this just for the sake of showing some mock-ups for Photokina? Actually, the 35, 75 and 90 all share the same outer lens barrel, as well as other internal components. This helps in manufacturing and maintaining consistency in the set. The mock-ups you see on display are the final designs. This will not change. You’ve told me before that you are now testing TL lenses to 60 lp/mm even though the published MTF charts still only show 40 lp/mm. Is it the same with new SL lenses? Yes, this started with the TL lenses and was part of the move to this next level we are now realizing with the SL primes. Also, when you look at the MTF curves of all Leica lenses, you should realize that they are published to show performance without in-camera corrections. In practice, on the SL, there are corrections automatically applied to both DNG and JPG. So corrections are baked into the DNG files before software processing? Yes. In fact, the correction is also applied in live view operation. The Maestro II processor performs this in real time for video. Same for M lenses. Chromatic distortion is removed. This is very import for video where doing corrections in post production is much more difficult than for still images. As well, it lets the photographer or videographer see the final image result beforehand. Well, judging by the published MTF charts, the SL lenses don’t seem to need much correction. No. They are already quite excellent, with our new designs resolving over 70% contrast wide-open. But, if the technology is available to achieve even a very small improvement in performance, we will use it. For the new prime lenses, are you still using the linear stepper motors like in the SL zoom lenses? Yes. We still use linear stepper motors for focus. Ultrasonic motors do not offer enough accuracy or speed for contrast detect AF. They are more useful for phase detect AF systems, but still not as precise as stepper motors. We also look for ways to create ultra-light internal autofocus lens groups in order to make focus as quick as possible. But the challenge is to maintain performance from close focus to infinity. This is always a primary goal for us, while keeping focus very quick and precise. We think we’ve achieved this with the SL primes, just as we were able to with the first two zoom lenses. In one of our previous meetings, you told me a little about how the optics department approaches lens design, and that you have moved away from a lens designer for each project and instead moved to a team approach. How does this work? 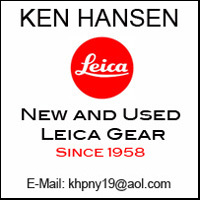 Traditionally, Leica is an optical mechanical company. But today, we need to combine more closely all the technologies so that we can come up with solution. From the start of each lens design, we must figure out the best way to assemble. We’ve found the best way to do this is with a collaborative team approach from the start. Each design team is comprised of a mechanical engineer, an industrial engineer, an electrical engineer, and a couple optical designers. On the the optics side, we try to combine more experienced designers with those with a fresh perspective. This provides a balance of experience and new ideas to find new ways to achieve the design challenges that we create for ourselves. This is how we are able to get from one level to the next, like we have seen with the SL lenses. It is really a collaboration and team effort. For me, leading the optics department, it’s really good to see how the whole optics team is performing. We continue to improve and set new standards. After these next five lenses, what can we expect? If you look at the lens roadmap we released, you might see some other things at the bottom of the chart. So, will we see more Summicrons with this same next-level performance? After our interview, I also had a chance to see some early sample images from a prototype 75 APO Summicron SL. Granted, they were small JPGs on an iPad, but let’s just say that I was thoroughly impressed. Just as Peter had said, the look of the files was different than I had seen before. Honestly, it’s one that’s challenging to describe. For me, the 75 SL results evoked feelings of the 120 APO-Macro-S, one of my all-time favorite lenses, with tack sharp details and creamy transitions to out of focus areas. But the look was different. I’ll have to leave it at that until I can shoot the lens and process some DNG files myself. For those concerned with Leica skipping Luxes in favor of rolling out a set of Crons…don’t be. Prepare to be floored by theses lenses. Just from the handful of samples I looked at, the results were insanely sharp wide open with absolutely wonderful, beautiful bokeh. And putting that performance level in a smaller, lighter and more compact package, the new Summicron SLs should hit all the right notes for a lot of SL photographers.